When goods are shipped a bill of lading is issued by a carrier or transporter from the seller side to the buyer to inform that goods will be delivered. 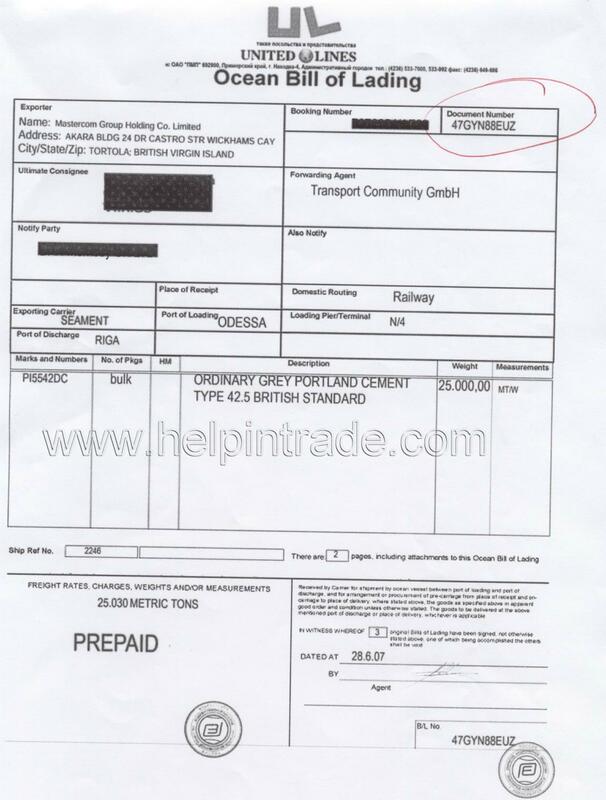 The document confirms the specifications of the shipment received the port where it was loaded, and the destination port. It also outlines the terms of carriage. Bills of lading can be negotiable or non negotiable. A negotiable bill of lading enables the holder of the bill of lading to change the destination port of the shipment. A non negotiable bill of lading means that the shipment will be delivered to a specified port, and this port cannot be changed. Bill of lading is one of commonly important document in payment by credit letter.